If you allow it to happen, music can come at you from all directions, with many different styles and intents. So much of it rolls through through your head and you may only notice it when the sounds are raucous or a melody catches your attention. Then, there are those albums that grab you from the opening seconds snd do not let go. Hours, days, weeks later, you return and are seduced again. "Light In The Darkness" (self-released) is the first album from trumpeter, flugelhornist, composer, and educator Benje Daneman. 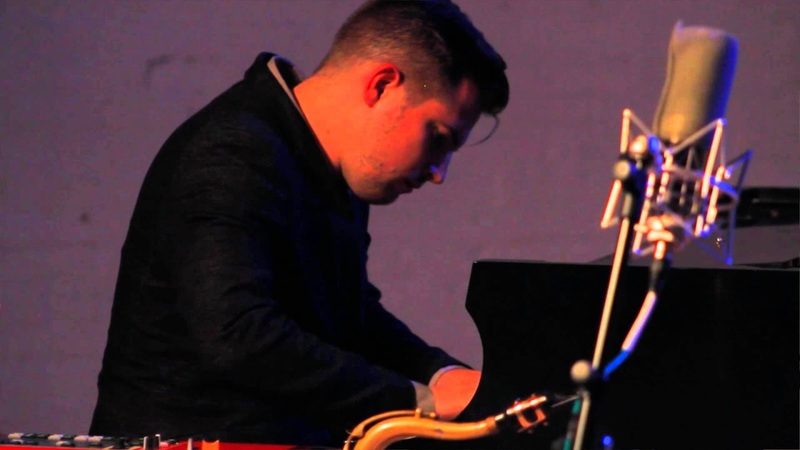 His sextet is called SearchParty and features a quartet of Chicago-based musicians including Greg Ward (alto saxophone), Rob Clearfield (piano), Andrew Vogt (electric bass), and Jon Deitemyer (drums) plus the leader's wife Ashley (voice, vocals). 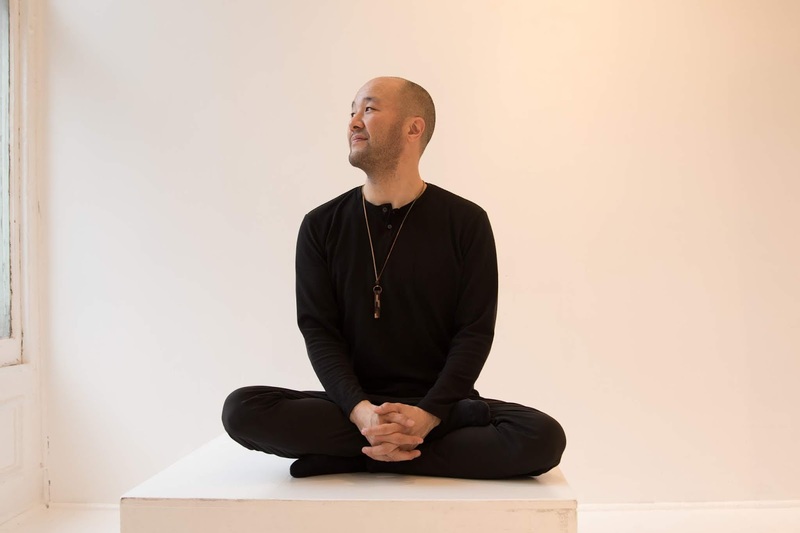 The program blends ancient texts, fiery instrumentals, mediative solo and duo improvisations, into a story that resonates with spirituality, railing against the daily forces of negativity by creating positive music. 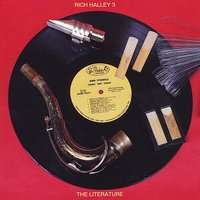 The album is bookended by two long tracks, the opening "The Light" and the closing "You Are The Light": both episodic compositions start quietly, the former being all instrumental while the latter has vocals, and build to powerful crescendoes thanks to the pulsating rhythm section and the forceful piano. Greg Ward's solo on the opening cut flies upwards propelled by Deitemyer's splendid drumming. 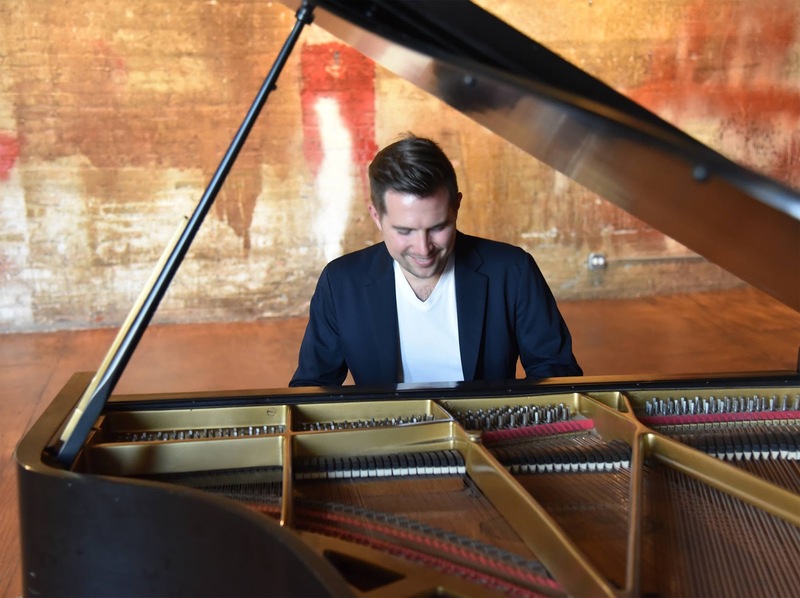 Clearfield, who has emerged as one of the finer and most melodic of pianists on the creative scene, follows, pushing the music with an energetic two-handed solo rippling with handsome phrases. "You Are The Light" certainly has the feeling of a prayer, with Ms. Daneman's soulful vocal leading the way. As the band enters, echoing her melody line, the intensity level rises. Still, the following section has the alto sax, trumpet, and piano sharing short solo lines before the intensity once again rises and the voices begin to coalesce. The album powers it way to the finish with the drummer leading the way and the voices coming back in before the eventual fade to solo piano. In between, there are several tracks such as "Lamps", "(Our Fear of) Exposure", and the title track that ask the listener to surrender, to listen closely, to contemplate, and to reflect. The world whirls around us, every day events transpire to tamp down our spirits, to turn us against our neighbors, to actively distrust the "other". The Danemans and SearchParty implore us to trust again, trust in friendship that leads to collaboration, to fight for equality for all. The band does so without polemic, with music that easily glides across borders and that illustrates how words and musicians can heal. "Light In The Darkness" has rocked my world since the album arrived a while back. Because I want to believe that we can change this world for the better and that must can do that. Yes, it is true music can also build walls, stoke anger, separate generations but there is also music that can heal, can (if only for a few precious minutes) restore memory, and can create new memories. 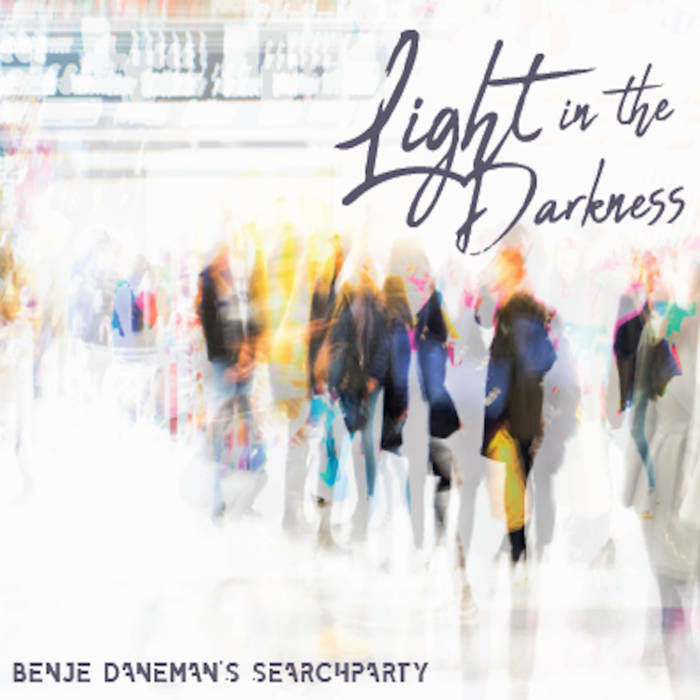 Are the messages that Benje Daneman's SearchParty creates new ones? Not truly (some of the lyrics come from Biblical Psalms), but we need to listen with fresh ears and open minds. I needed this music at this time. Hopefully, you will find the joy in it as well. The album will be released to the world on August 31, 2018. For more information, go to www.benjedaneman.com. 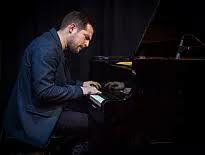 Pianist and composer Stu Mindeman may be best known for his current role as pianist for Kurt Elling. His father, a musician, moved his family to Santiago, Chile when Mindeman was quite young and the sounds and songs of post-Pinochet years infused him with love for folk music of the country. They then moved to Chicago, IL. where he began a career that has seen him work with Branford Marsalis, Antonio Sanchez, Gloria Estefan, Kendrick Scott and many more. 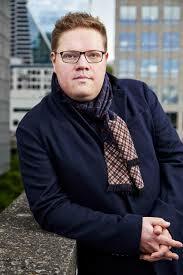 He has also been music director for the Second City comedy troupe. 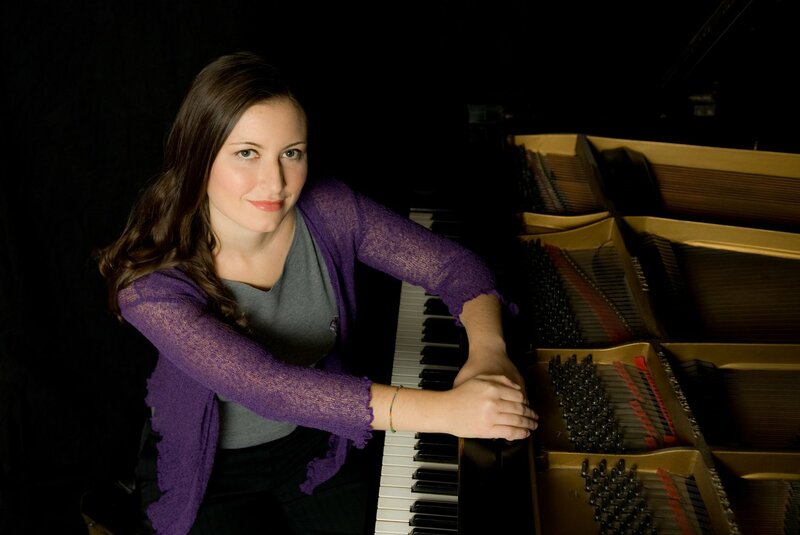 His 2014 self-released debut album, "In Your Waking Eyes: Poems by Langston Hughes" stands out for the power of Sarah Marie Young's and the imaginative music that accompany the poems. 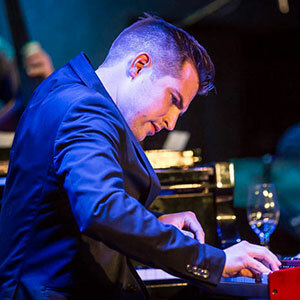 In 2017, Mindeman returned to Chile where he began to collaborate with vocalist Francesca Ancarola, bassist Milton Russell, and drummer Carlos Cortes Diaz. 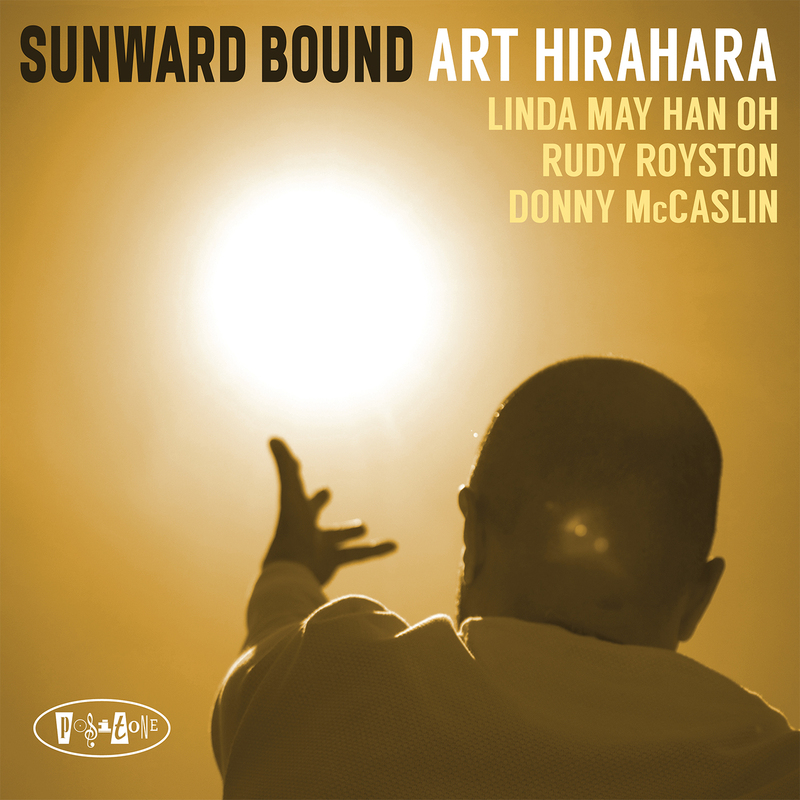 All three appear on "Woven Threads", the pianist's new Sunnyside album. The music is a tribute to Victor Jara and Violeta Parra, both poets, singers, and activists whose lives were crushed by the Pinochet regime in the mid-1970s. When Mindeman returned to Chicago, he gathered a number of friends to help him flesh out the music. People such as bassist Matt Ulery, drummer Juan Pastor (whose group Chinchano Mindeman works with), percussionist Yuri Hevia, violinist Victoria Moreira, drummer Makaya McCraven, saxophonists Geoff Bradfield and Greg Ward, trumpeters Marquis Hill, Victor Garcia, and Quentin Coaxum, guitarist Matt Gold, and several special guests appears throughout the program. The music? It's quite a delight. 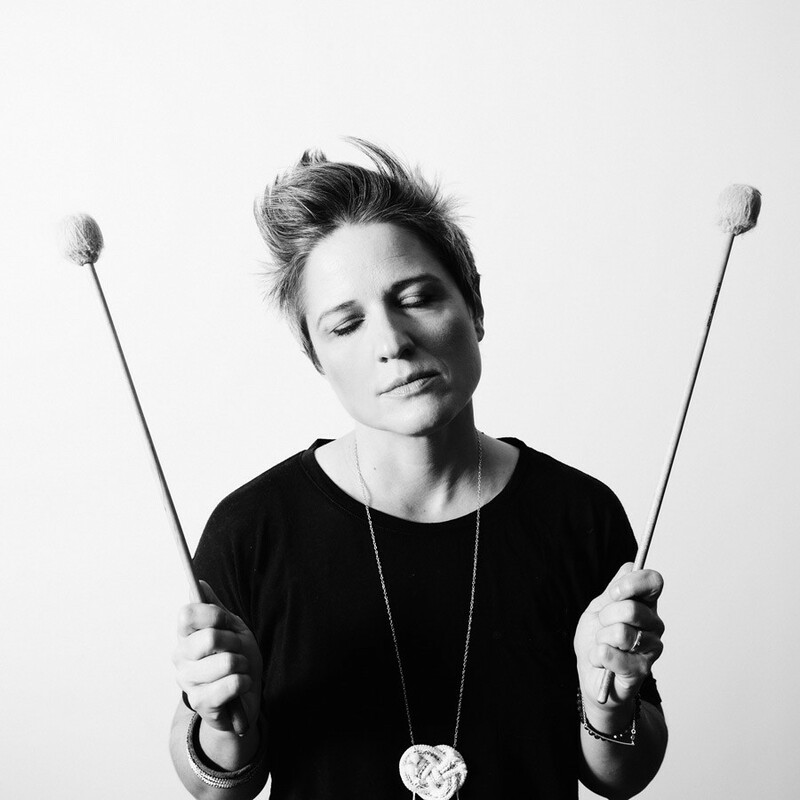 The various percussionists create a lovely rhythmic cushion and the splendid vocals of Ms. Ancarola enliven four of the tracks. (What's missing is the English translation of the lyrics - that's a minor complaint). One does not miss the emotion in the opening traditional Chilean tune "Casi, Casi". The pianist does not jettison the original melody or rhythms but adds overdubbed vocals, horns, and strings as well as his expressive piano - yet, it is the powerful vocal that draws the listener in. The vocalist digs into Jara's "El Aparecido" infusing it with love and empathy yet note the powerful string work of Ms. Moreira and Gold's equally powerful guitar. Jara's "No Puedes Volver Atrás (You Can Not Go Back)" closes the program and, even if you do not understand what she is singing, you can't help but feel the pain and sorrow. Kurt Elling appears on two tracks inspired by songs composed by Ms. Parra. For both, lyricist Tim Stiles and the pianist remade the originals. "What Words" is a stunning ballad that also features the expressive alto saxophone work of Miguel Zenón. 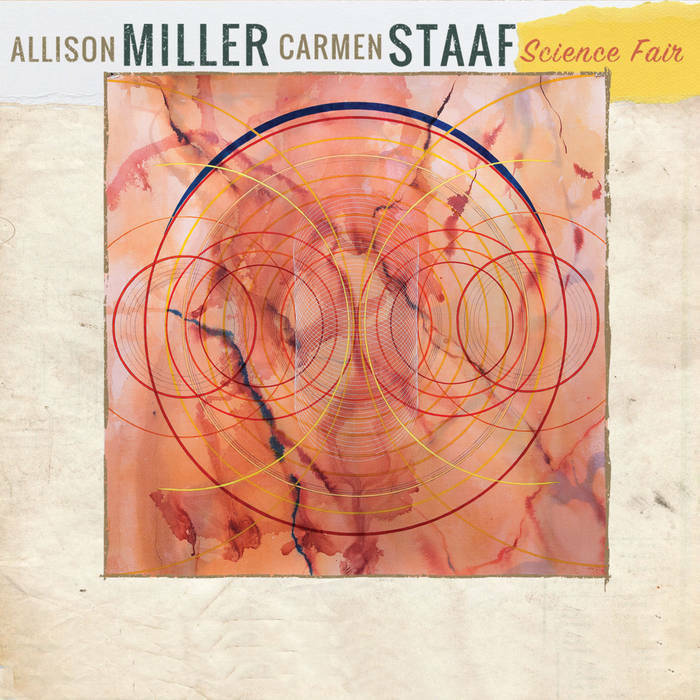 The handsome melody, supported by the quiet percussion of McCraven and Pastor and the thick bass tones of Russell, allows Elling to softly work through the lyrics - his voice rising out of Zenón's solo is otherworldly. "A Thousand Stars" blends the fine trumpet work of Coaxum, the sweet backing vocals of Sarah Marie Young, and the leader's articulate piano: still, it is Elling's vocal genius (eschewing technical displays) in caressing the lyrics, giving them power in their beauty. Other highlights include Miguel Zenón's delightful turn on the instrumental "La Rueda". Mindeman's powerful piano lines atop the percussion of Pastor and excellent bass work of Ulery really propels the tune forward. 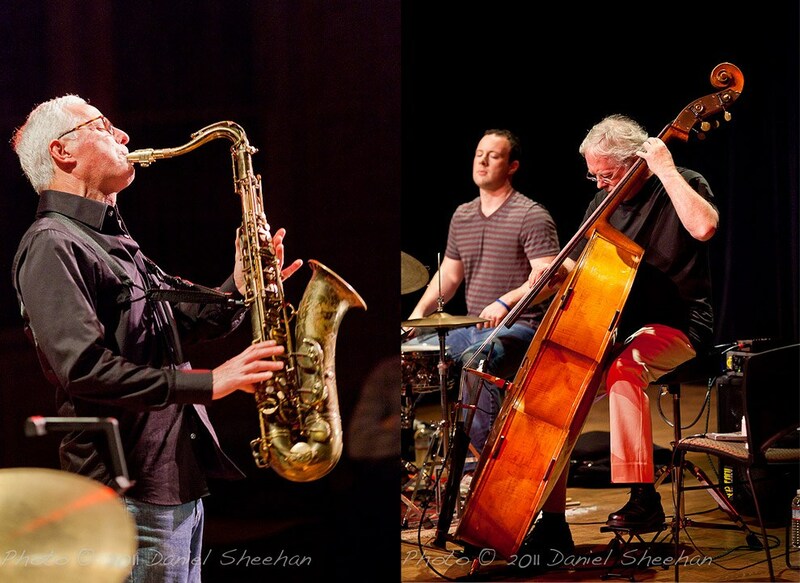 When the alto saxophonist steps out in front, the music takes on a dancing quality that is irresistible. French-Chilean rapper Ana Tijoux shines on "Sin Sentido (Without Sense)", her alto voice surrounded by trumpeter Hill and the overdubbed vocal wash of Ms. Young. McCraven and Pastor really make the music dance and Mindeman's piano solo has a touch of Herbie Hancock's funkier work. "Woven Threads' shines from beginning to end. 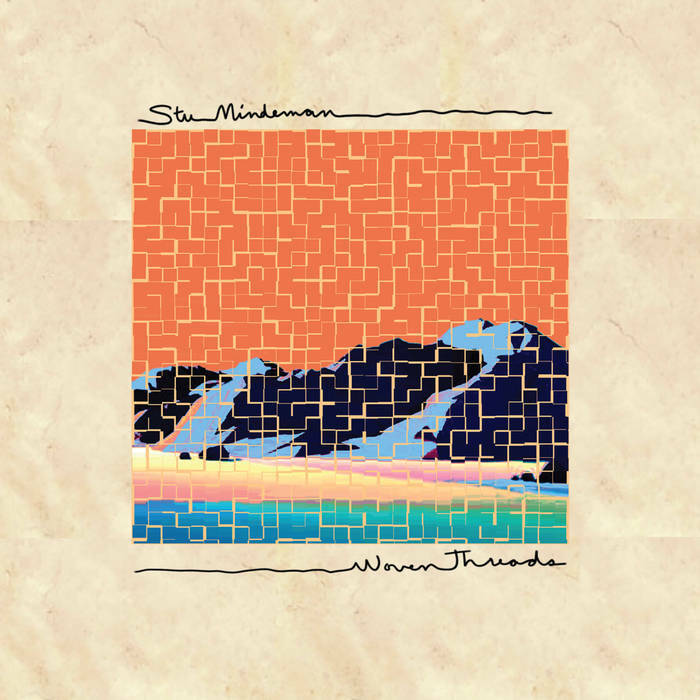 Stu Mindeman makes this music accessible without losing its heart and soul. The message that Victor Jara and Violetta Parra imparted to their native Chile and, several decades later, to the young pianist, is that music has power to make the world better. Just don't be silent. The album will be released on September 14, 2018. For more information, go to www.stumindeman.com. 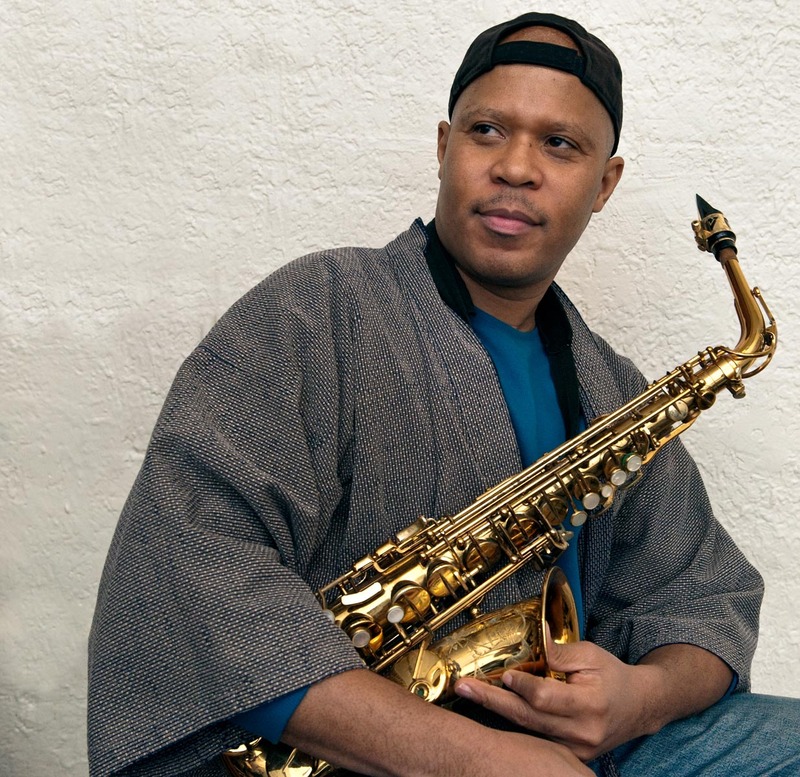 The best person to describe the music of Steve Coleman is the man himself. 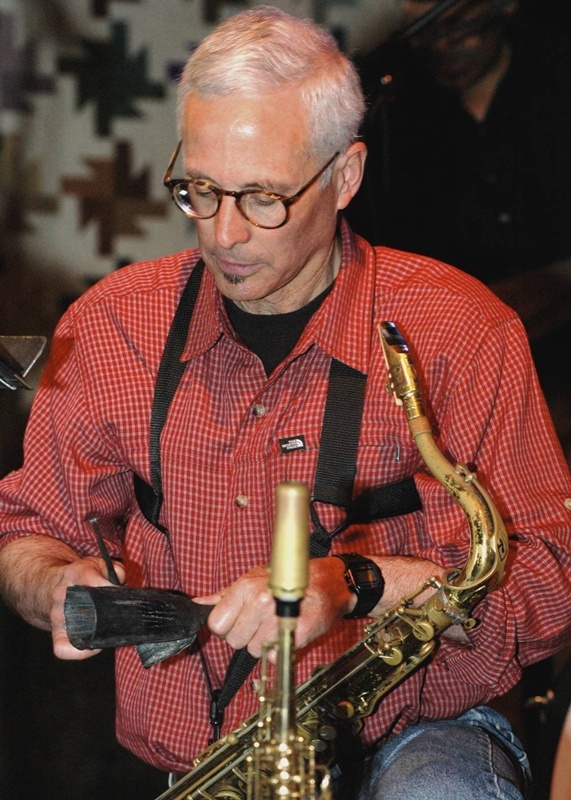 The alto saxophonist, composer, conceptualist, and community educator/activist, he has spent over three decades creating his own musical language. 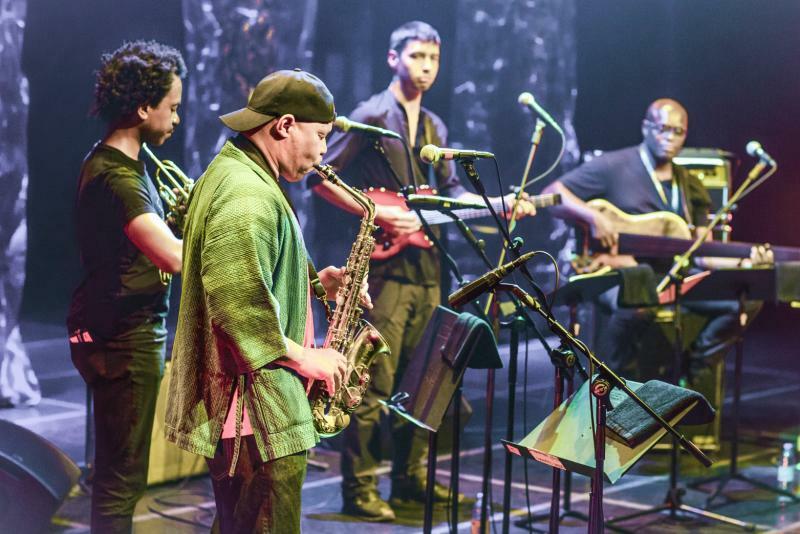 The M-Base Collective, an organization that Coleman founded around 1984, takes its cues from the AACM from Chicago, the composer's hometown. 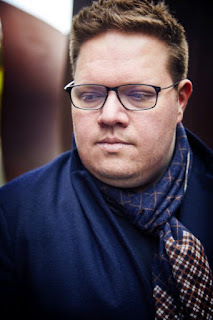 If you click on the link above, you can see how musicians have collaborated together as members of the various bands that Coleman leads or have worked with him in other ways. Over the decades, Coleman has led and continues to lead numerous ensembles but, most consistently, has worked with The Five Elements. 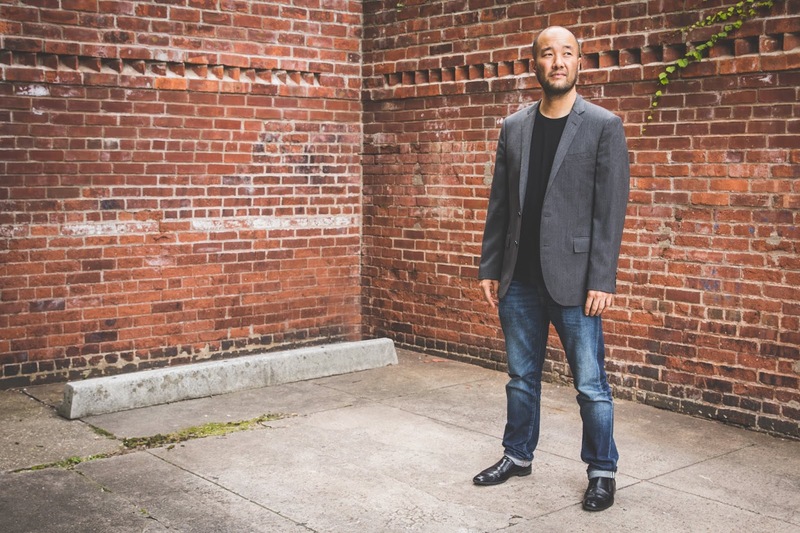 The current quintet, featuring Jonathan Finlayson (trumpet), Miles Okazaki (electric guitar), Anthony Tidd (electric bass), and Sean Rickman (drums), has been together for over five years. That lineup's debut was the powerful 2013 "Functional Arrhythmias" (Pi Recordings). Both Rickman and Tidd had worked with Coleman in earlier versions of the group while Finlayson has been part of the the ensemble since 2000. Okazaki joined in 2009 while building his own solo career. Over the past four years, the group has been involved in a series of weeks-long residencies in cities such as Chicago, Los Angeles, Detroit and others, that go beyond just concerts and into outreach to underserved communities and more. 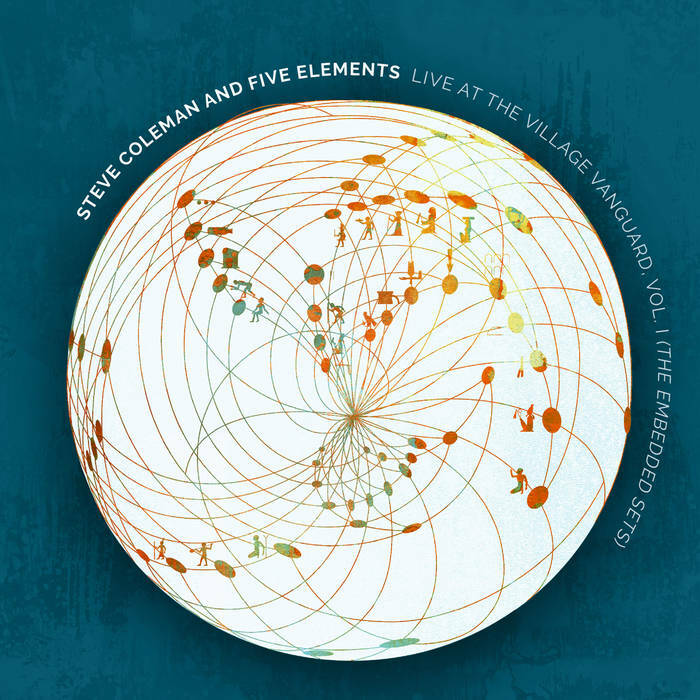 The ensemble's latest musical adventure is "Steve Coleman and The Five Elements: Live at The Village Vanguard, Vol. 1 (The Embedded Sets)" (Pi Recordings). The two-disc, 150 minute, program was recorded during the Quintet's residency in May 2017 (Volume 2 was recorded at this year's residency). Coleman fans do not need a review; they know to expect an amazing blend of rhythms, spontaneous melodies, intelligent interactions, and one tremendous rhythm section. Coleman has stated that his musical style was greatly influenced by Charlie Parker - one can hear that in his tart tone, the rapid-fire riffs that often serve as melodies, and his energetic approach to solos. What bassist Tidd and drummer Rickman do is make this music dance. There are numerous examples throughout the two sets of rhythmic abandon. Think of Clyde Stubblefield (drummer for James Brown in his most popular era, 1965-1974) and bassists Bernard Odums and Bootsy Collins (both who worked for Brown in that era) jamming backstage with Sun Ra or Albert Ayler. Tidd and Rickman don't just drive this band, they help the music take alternate routes. 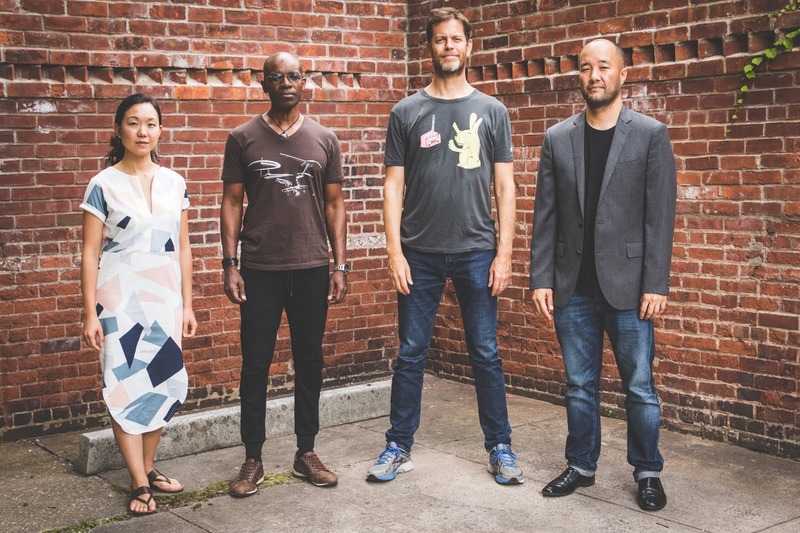 The music is, at turns, exhilarating, demanding, forceful, hurtling forward on the power of group interactions - whether the band is playing older material or working through brand-new compositions, the spirit of spontaneous improvisation can be felt from note one. Even Coleman favorites, like his reading of fellow alto saxophonist Bunky Greene's "Little Girl I'll Miss You" has a spontaneous arrangement - you can hear it twice on Disk 1 and it's fascinating to hear the difference between the two. The unaccompanied alto intro remains (though Coleman changes his approach on each rendition) but how the band comes in is different and, of course, so are the solos. Just pay attention. If you do, you can bask in how Finlayson and the leader interact throughout, hear how Okizaki adds his distinctive voice to the songs, and, of course, the splendid rhythm section. Tidd's electric bass work is delightfully articulate while Rickman's polyrhythmic funk-swing-groove conjures up Sam Woodyard with the Duke Ellington Orchestra (check out "rmt/Figit Time" that opens the second set), Max Roach, Billy Cobham, and Dafnis Prieto without sounding like anyone in particular. So, dig into "Live at The Village Vanguard, Vol. 1 (The Embedded Sets)", listen closely, and then go see Steve Coleman and Five Elements in person for yourself. Try and stay in your seat. Release date is August 10, 2018. For more information, go to pirecordings.com/artists/steve-coleman/ and/or m-base.com. 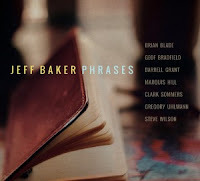 Honestly, I have been returning to listen to the latest album from singer and songwriter Jeff Baker since it arrived at the beginning of 2018. "Phrases" (Oa2 Records) is a 76-minute program that, on initial listens, struck me as a series of vignettes on love and loss as if Baker was working his way through a dark time. On a personal note, throughout the year, the writer has dealt with deaths and/or illnesses of friends and relatives as well as health issues that affected the closest of compatriots. The solace received from certain recordings and live performances was great but how does one write about the unspeakable. I am not such a fool as to drown my sorrows in drink or drugs but crave the nearness of people. Heaven forbid, I read about contemporary politics - much of the good happening in the world, in this country, and the state is covered by screaming headlines of divisions and inequalities (proving that not much has changed over the years only that we hear about faster and from all corners of the globe. Easier to curl up with a book with music welling and cooing in the background. Back to "Phrases." 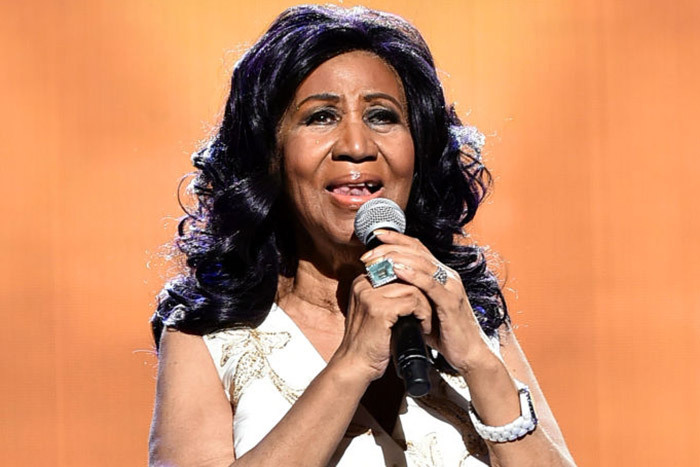 From Baker's adaptation of Pablo Neruda's poem "Tonight I can write the saddest lines" to the singer's quiet take of "Don't Worry 'Bout Me" (from the pens of Rube Bloom and Fred Koehler), the songs deal with issues of the heart. He's got quite a sparkling band, one that includes Darrell Grant (piano), Clark Sommers (bass), and Brian Blade (drums) as well as the smart reeds of Steve Wilson (alto saxophone) and Geof Bradfield (tenor saxophone) and the powerfully rich trumpet of Marquis Hill. 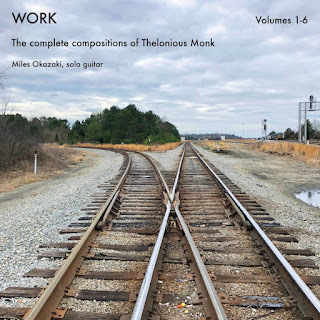 One also hears the electric guitar of Gregory Uhlmann plus contributions from the Avalon String Quartet (Blaise Magniere and Marie Wang on violin, Anthony Devrove on viola, and Cheng-Hou Lee on cello). Listen to how Baker folds his tenor voice around the horns on "Lost" with Blade really driving the ensemble, Uhlmann's ringing guitar phrases (good solo as well) and Grant's flowing lines in support. This is one of the songs that pulled me back into the album, lyrics that spoke of possibilities, mostly positive. Note how Wilson's expressive soprano sax dances with the guitarist in the solo section of "Salinger" - based on a short story by the late J.D. Salinger as well as novel by Stephen Chbosky, this song also shows the influence of the music of Sting. The slow ballad "Harbor" (composed by bassist Sommers and Baker) is a true love song, no premonitions of breaking hearts. Still, it's hard to stay away from the heartbreak. Baker's sweet take of Bonnie Raitt's "Not 'Cause I Wanted To" (which opens with a fine bass solo) is emotionally rich without being saccharine. "People of Paper", based on the 2005 debut novel of Mexican-born author Salvador Plascencia, is a story of love unrequited and lost. 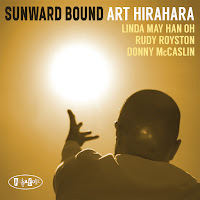 The horns float above the vocals until Hill steps out with a most reserved yet heartfelt solo - don't miss the short but stunning soprano sax phrase as the piece fades away. .
Several of the reviews have said that the songs on "Phrases" go on too long and no one song stands out. I beg to differ; to my ears, each piece is part of a longer story, a tale in which love and loss are at the center. 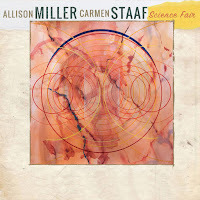 Pay attention to the musicians Jeff Baker surrounds himself with, how they serve the music, how the arrangements have a strong sense of drama, and how Sommers and Blade offer such great support. And, I can't through "A Hundred Less One" without tearing up knowing it speaks for the many people I know who have been married for decades. Some music blazes trails, some music makes you dance, and some music takes so far inside yourself you feel as if your life is exposed to the world. "That's "Phrases" in a sentence! For more information, go to jeffbakerjazz.com. Twenty-two years ago, New York Voices shared the bill on an album alongside the Count Basie Orchestra. 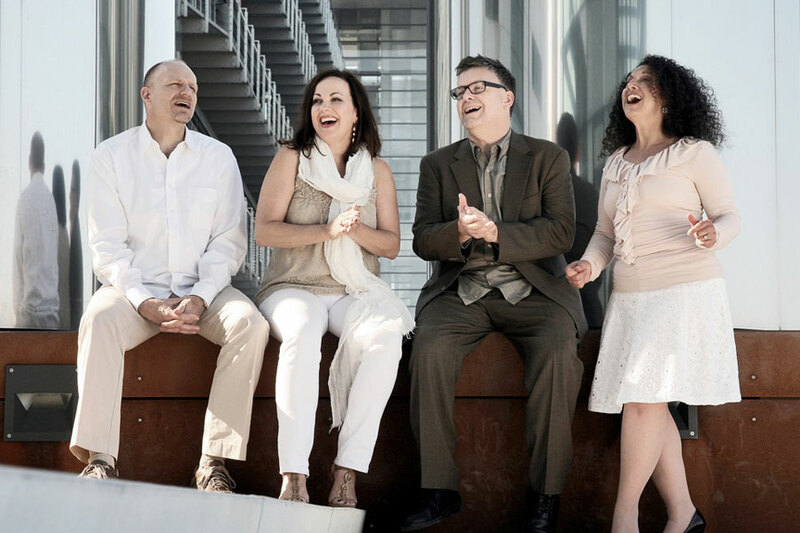 Five years ago, the quartet - founded in 1998 by original members Kim Nazarian, Darmon Marer, and Peter Eldridge plus Lauren Kinhan (who joined in 1992) - recorded with the WDR Big Band. 2018 finds them joining the Bob Mintzer Big Band for "Meeting of Minds" (MCG Jazz). It's a treat from track one, a bluesy take on "Autumn Leaves" to the hard-driving samba of "I'll Remember April." 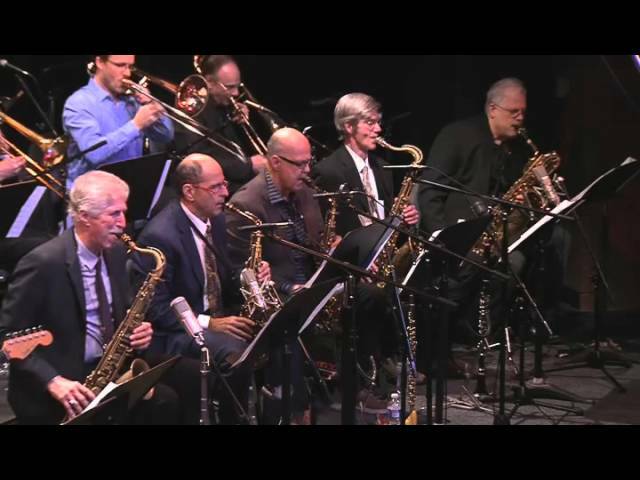 The 17-member Mintzer Big Band has been in existence over 35 years, recording 21 Lps and CDs for labels such as DMP and MCG. 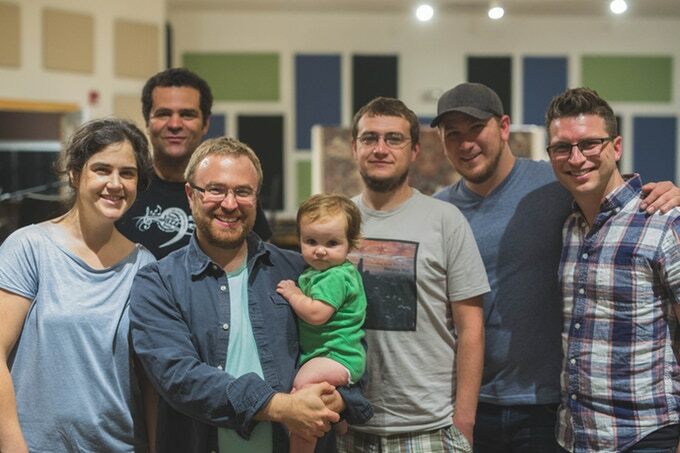 Since 2004, the BMBB has issued seven CDs for the Pittsburgh, PA-based label. 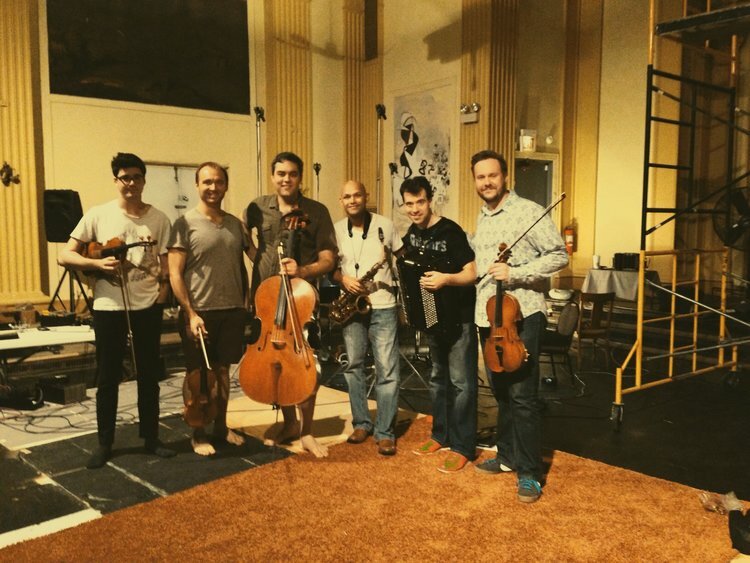 Composed of musicians who are busy in large ensembles action both coasts, they can play just about everything. 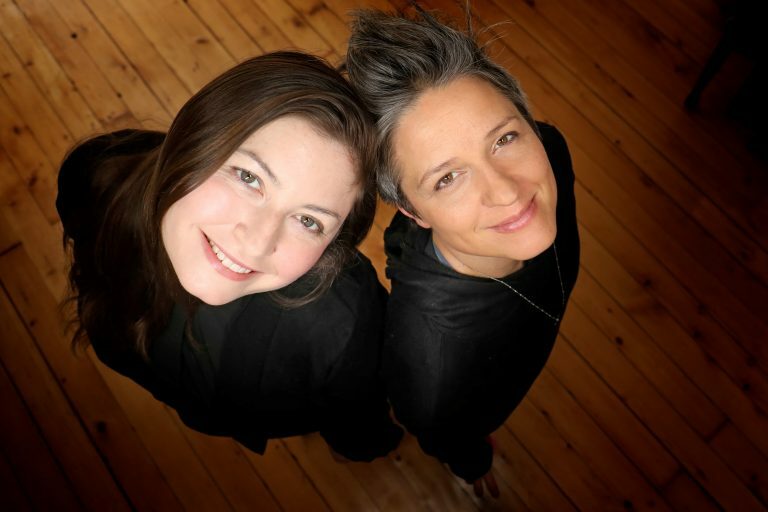 Listen to the funky take of "Old Devil Moon" - with its raucous vocal from Ms. Kinhan and "down-and-dirty" drums, one feels the need to dance. 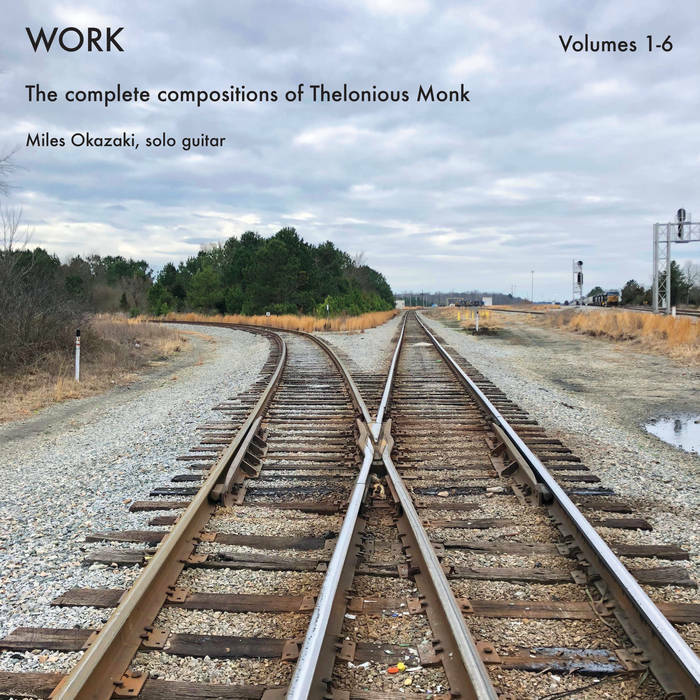 Check out the way Mintzer supports the voices of Ms. Nazarian and Mr. Eldridge on "The Way You Look Tonight" plus the smashing center section of wordless vocals and section voices. The long tenor sax solo from Mintzer is also a treat. 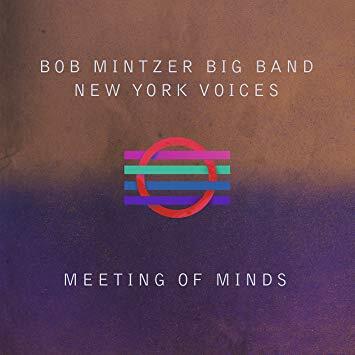 Even though the vast majority of the music on "Meeting of Minds" comes from the 1930s-40s Golden Era of the Great American Songbook (save for Mintzer's original "Weird Blues" yet that would sound out of place played by the Count Basie Orchestra in the late 1950s), this album is no throwback. 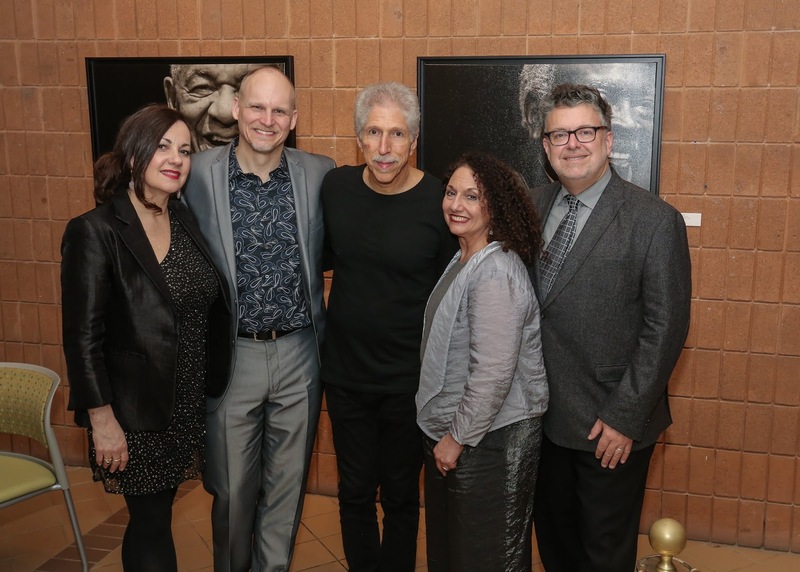 Kudos to the Bob Mintzer Big and and New York Voices and all involved bringing this project to light! This album will brighten your day and do so perceptibly. 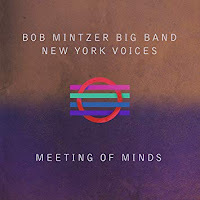 For more information, go to newyorkvoices.com or to www.bobmintzer.com.